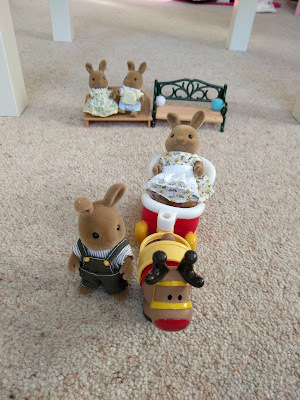 Another gorgeous family plopped through my letterbox a few days ago, the Dappledawn Rabbits. 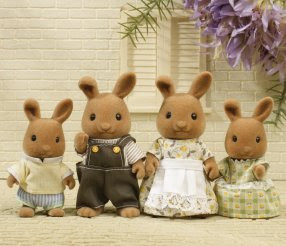 This gorgeous family of 4 consists of father Herbage, mother Theodora, brother Radish & sister Tilly Dappledawn. 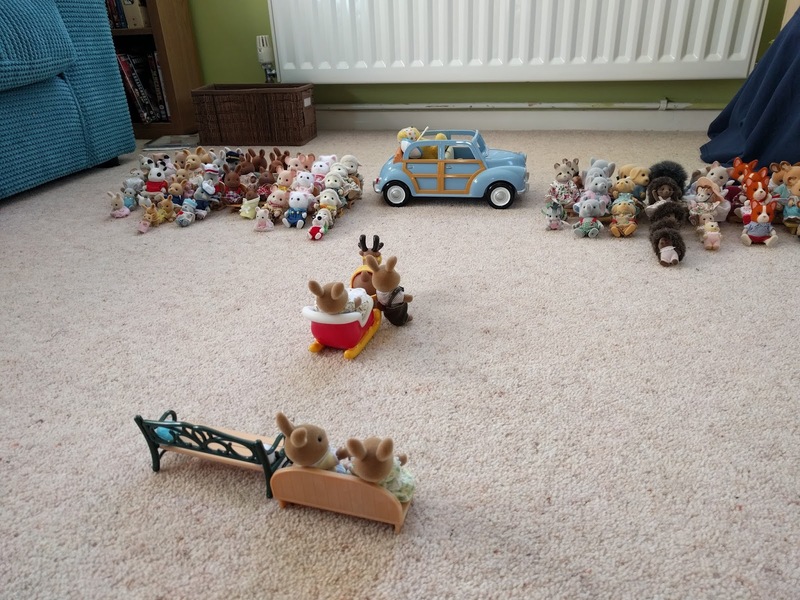 We already have loads of bunny families (well we would, they breed like....rabbits!) and yet these have a certain quirkiness to them that makes them extra cute. Look at their ears. The tip of one ear is just slightly turned over. 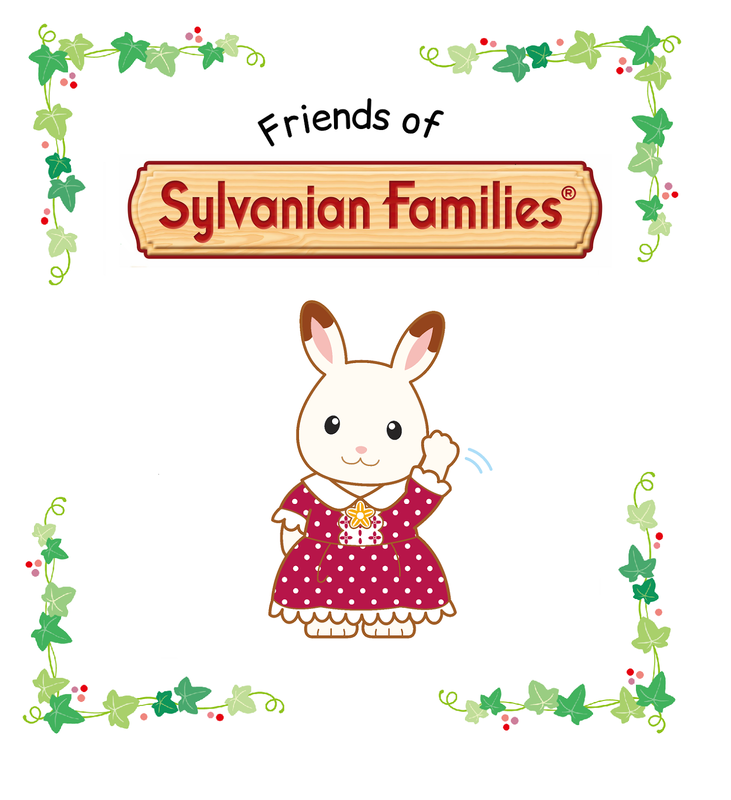 It such a small detail but is the reason that Sylvanian Families is still going strong after 30 years. It's this attention to detail. Little Miss L (7) says "they are very good, they're really pretty and there is nothing wrong about them and they are good with the other Sylvanians." 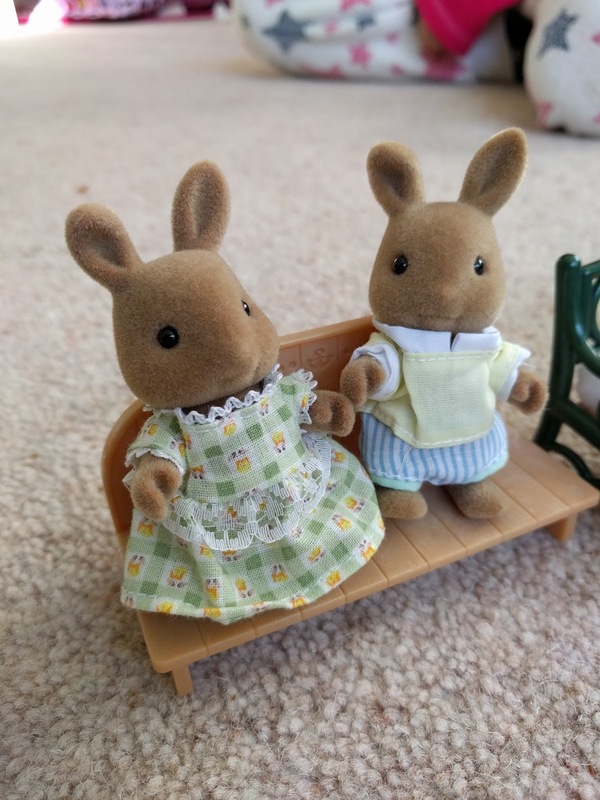 I always think the price of the families seems a little steep HOWEVER (fancy BUT) the detail in them is gorgeous right down to their quaint little clothes. They also retain their value really well should you want to sell them in future AND they are sturdy - we have broken several bits of furniture over the years but never a family member. They will be much loved in our household and can look forward to their first Sylvanian Christmas at the Holiday house.